"Can't you tell that I came from the dope game? -- Blame Reagan for making me into a monster -- Blame Oliver North and Iran-Contra -- I ran contraband that they sponsored" -- Jay-Z, "Blue Magic"
(LOS ANGELES) - John Kerry being nominated to Secretary of the State brings his ever looming presence within the Iran Contra Scandal full circle. The man responsible for uncovering a scandal that cocaine was being brought into the United States as part of a multicontinental black market with the knowledge of the CIA and U.S. government will now hold one of the most powerful international offices in the world. The backdrop of his presence on Capitol Hill will always be built upon pillars of his desire to have America be honest to itself, and the rest of the world as to its own actions here and abroad. In early 1986, the 42-year-old Massachusetts Democrat stood almost alone in the U.S. Senate demanding answers about the emerging evidence that CIA-backed Contras were filling their coffers by collaborating with drug traffickers then flooding U.S. borders with cocaine from South America... In taking on the inquiry, Kerry challenged President Ronald Reagan at the height of his power, at a time he was calling the Contras the "moral equals of the Founding Fathers." Kerry's questions represented a particular embarrassment to Vice President George H.W. Bush, whose responsibilities included overseeing U.S. drug-interdiction policies... Kerry's probe infuriated Reagan's White House, which was pushing Congress to restore military funding for the Contras. Some in the administration also saw Kerry's investigation as a threat to the secrecy surrounding the Contra supply operation, which was being run illegally by White House aide Oliver North and members of Bush's vice presidential staff. Though John Kerry's early warnings about White House-aided Contra gunrunning had proved out, his accusations about Contra drug smuggling would continue to be rejected by much of the press corps as going too far. Made into a pariah much like Gary Webb, the reporter that wrote Dark Alliance on the Iran Contra in 1996, people simply wanted it all to go away because within Kerry's accusation was a darker reality than discovered in any international relations scandal in American History. "Kerry wanted to get to the bottom of something so dark,... Nobody could imagine it was so dark." Miami-based federal public defender John Mattes told Salon. The possibility the United States government might be involved in the cocaine trade, while at the same time it was writing some of the harshest known sentences in the world if its citizens sold those same drugs once they arrived to shore. What if the cocaine was allowed to be trafficked by the government without regard or care for the impact it would have on a black community fresh out of the throws of Jim Crow? What if while demonizing crack, the drug we were selling, the government was simultaneously complicit in trafficking the cocaine the deadly drug was being made from? As a result of Kerry's investigation (along with the efforts of Rep. Maxine Waters) there is no if -- it is proven, there is simply the question of why it happened and what the long lasting effects on cities and families are across the nation. All of these decisions were being made while at the same time the federal justice system without care or regard for context decided to sentence these nonviolent offenders with the harshness of murderers in an effort to make it all go away. As President Obama appoints John Kerry one must contextualize his choice to understand how this may mark a remembrance of African Americans' mistreatment at the hands of the War on Drugs. Taken in conjunction with the Fair Sentencing Act President Obama signed into law in 2010 we only hope it is the first of many steps by the nation's first Black president to correct a longstanding wrong done to Black America at the hands of the War on Drugs. At the heart of the long lasting effects of the Contra Cocaine scandal is the beefing up of the War on Drugs, which has driven black male nonviolent criminals to prison at rates no other singular group in America, or any other industrial country has experienced in history. The upcoming documentary "Crack in the System" by Emmy award winning Documentary maker Marc Levin will cover me and the topic in more depth than ever. While I served my time and recognize my fault, I believe there is a generation across the globe that deserves the full story to be given light. Since my release I have started a nonprofit organization Freeway Literacy Foundation, because 60 percent of prisoners in the U.S. are functionally illiterate and it is a key factor in recidivism. My biopic film already written by Nick Cassavetes (writer of Blow starring Johnny Depp), will give John Kerry and many others a chance to be appreciated for their efforts in uncovering the cocaine scandal that led to mass incarceration and what many are calling the New Jim Crow. John Kerry is an American hero and his nomination by President Barack Obama holds with it a remembrance of his noble acts to tell the truth no matter the personal political cost. Anon. wrote: "... but what I feel brought the blacks down again was the influx of hispanics at a level that was not sustainable.." You are certainly correct regarding your assessment of not only Obama and Kerry's leadership, but the entire liberal approach to making people generally dependent on government. This is in the Marxist playbook, along with creating divisiveness in not just the haves and have nots, but also along racial groups. Unemployment as well as school drop out rates have increased for blacks, and now we see assimilation by immigrants as simply not happening. Take a brief look back at history and see what was going on when we had people actually improving their lives. Those of you who like big government simply fail to see the end game of these grifters...it will not end well if they continue in power for even one more year. As far as someone bringing in illegal drugs, well anytime you have a demand for something, and a profit is there, you get what you want. Simply take responsibility for your actions...say no to drugs, and clean up your act. Please notice how protestors from the occupy movement were essentially left to act out until they got too extreme. Now we see older citizens protesting the IRS corruption, who do not break the law and clean up after themselves...are being surrounded by DHS personnel with fully automatic weapons. Some bad crap is coming and it is but a few top level people in government who have some real criminal intent. Wake up and join the peaceful protestors and demand a special council and Obama's and Holder's resignation. This article has nothing to do with anything you wrote about. This is about Regan and GW Bush destroying my country from within through deception, illegal corruption, racism and years of this. I think Obama and Holder are highly problematic, but that has zilch to do with the story. Please keep your comments on topic. Back before 2000, I worked with the black plight. Actually I saw many good things and black neighborhoods being transformed for the better. What I saw, (I lived only a few miles from Inglewood California), were many positive things. I have no problem with hispanics, I also advocated for a quicker and easier VISA system so they could come here legally and not have to hide like cockroaches, but what I feel brought the blacks down again was the influx of hispanics at a level that was not sustainable. As far as kerry, he was used by the CIA to contain the iran contra scandal, which had already been exposed worldwide before kerry brought it up, with promises of getting goodies at a later time. and as far as salon.com, its a well known fact they are disinformation. Its of my opinion that the black plight has worsened, and yes, they have been getting screwed over and over, but IMO, this author does not have a clue about why/how and who, and is doing more harm than good. obama and kerry have done NOTHING, nor will do anything to help the black people. The entire U.S. was set up decades ago to make people dependent on government, from clinton/bush/obama it has expanded, while all of them ship all the jobs overseas..wake up. Has obama or kery done anything about the CIA bringing in cheap and potent heroin and spreading it all over the U.S.? no. 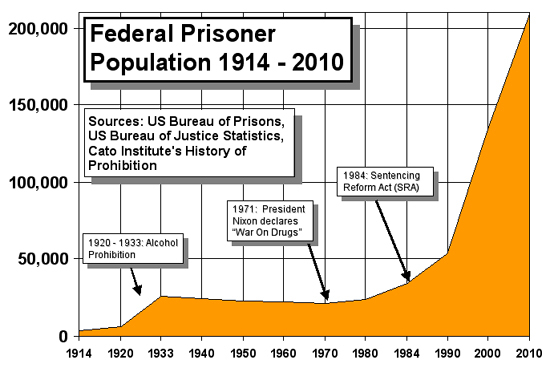 had obama or kery done anything about the pay for profit prisons? no. They dont care and never will. In my humble opinion, this article should be on that website called "the onion".